Certain events require a huge amount of money for it to materialize. There are a lot of requirements just for a single activity, and most of the time, organizers truly needed the sponsors’ helping hands to make things happen. If you come to think of it, how can one person or a company entrust their hard-earned money for an event that is not directly related to them? The answer is simple, they need to believe in the goal of the event and organizers must assure them that it is aligned with the core value and competencies of the company. In other ways, events are also useful as a marketing tool to promote a sponsor’s product or services. 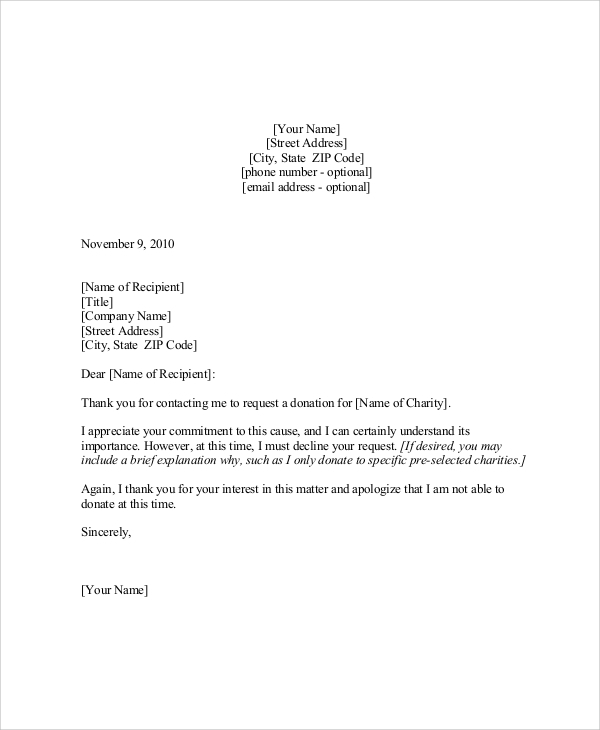 You may go to Sample Letters for you to check different kinds of letters that is appropriate for your needs. 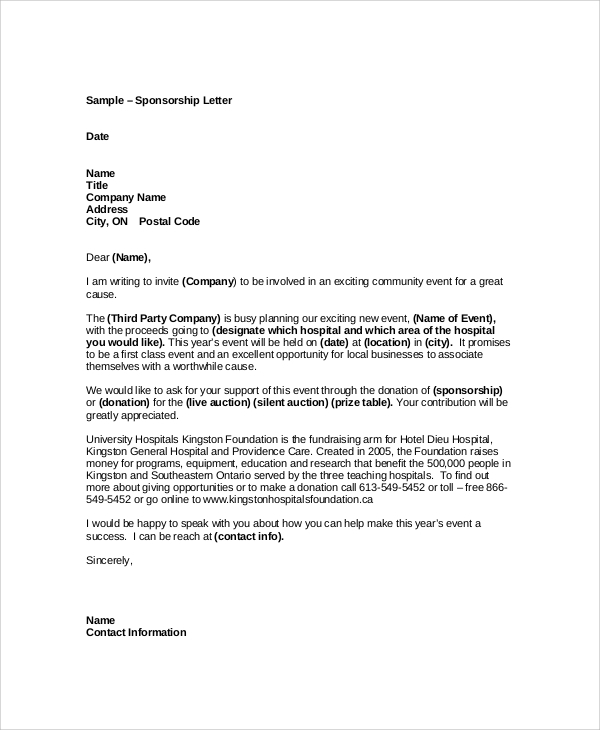 Sponsorship letters are usually made by students to get support for a school project or event that they needed to do as a requirement for a certain subject. 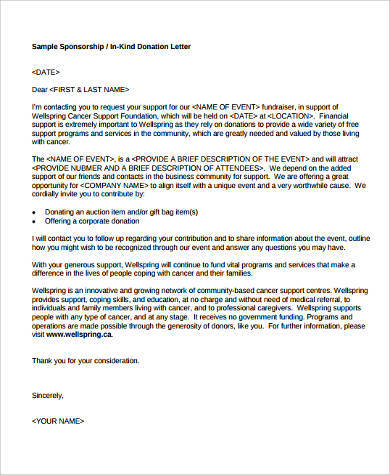 Since some students are new to getting sponsorships, guides on creating one are available at Sample Event Sponsorship Letters. Also, corporate entities may still need help from other businesses or establishments so they may be helped to produce an activity like a new product showcase or unveiling of upgraded services and the likes. 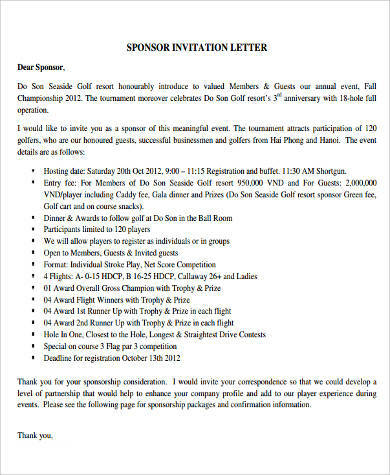 Sample Corporate Sponsorship Letters has a list of example templates that you may look at. If you are looking for sponsorship and if possible, make sure that you also tell your prospect sponsors how they will benefit from the event that you are doing. Assuring them, especially businesses, that you can provide them something in return for the help that they have lent will make a possible sponsorship be a reality. 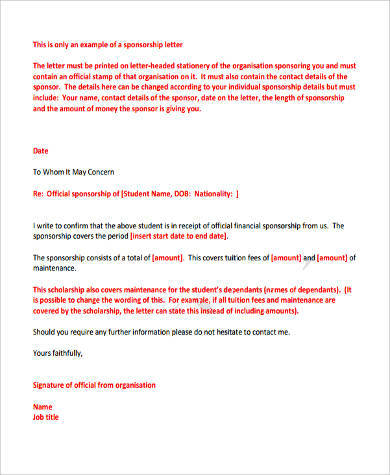 There are different reasons why a sponsorship letter has to be made. As said, it can be used for events but is not limited to it. 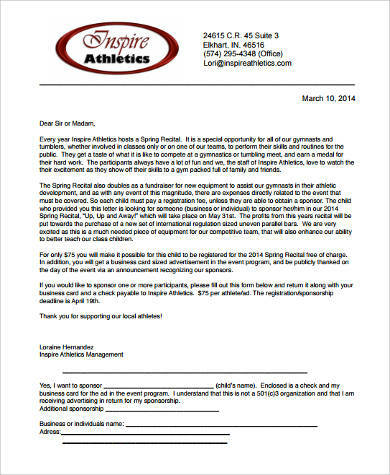 Even athletes can also create this kind of letters to gather support for their upcoming sports match. Nongovernment agencies may also use it for fund-raising purposes. 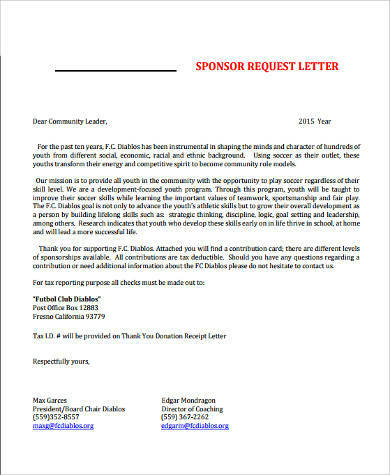 The opportunities to get help through sending sponsorship letters are limitless. 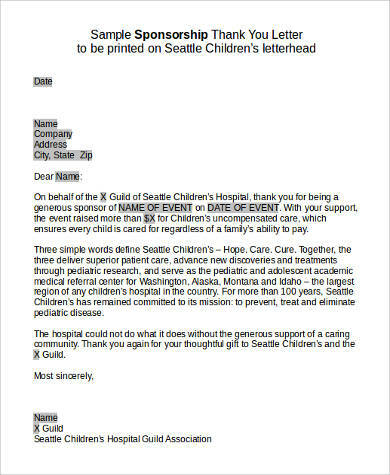 You just need to be able to come up with a letter that will truly show how the money and other kinds of help will be used. 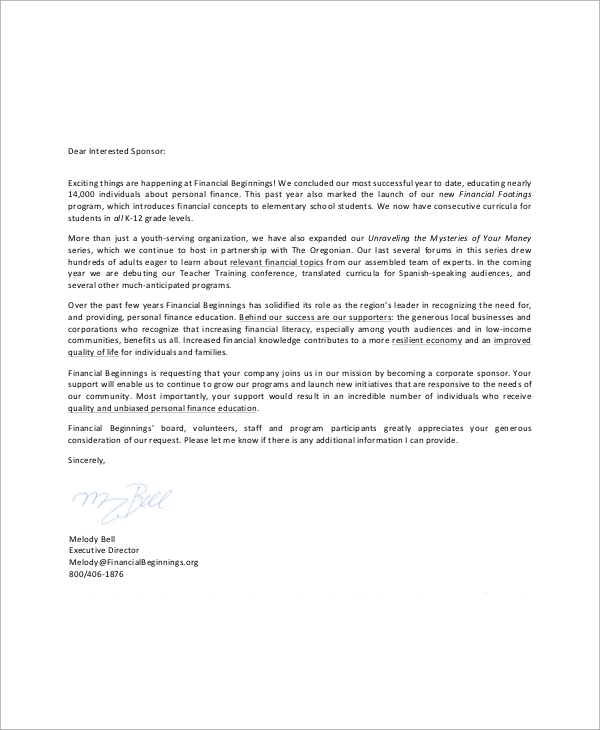 You may receive a decline of sponsorship for reasons only the possible sponsor know, but always make sure to send a thank-you letter for every sponsorship invitation. 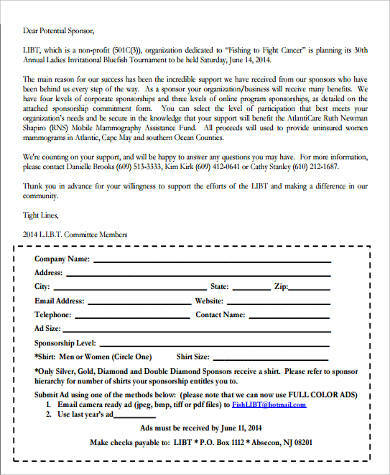 If they give, may it be in cash or in kind, it is still a sponsorship that will help an event to happen. If they do not, it is on that they took time to read the letter and at some point may have considered sending help. It is also best for you to send sponsorship letters to companies and establishments that is more than the amount of your preferred target. You are never sure of what the outcome will be and how many companies are to send positive feedback regarding your letter. 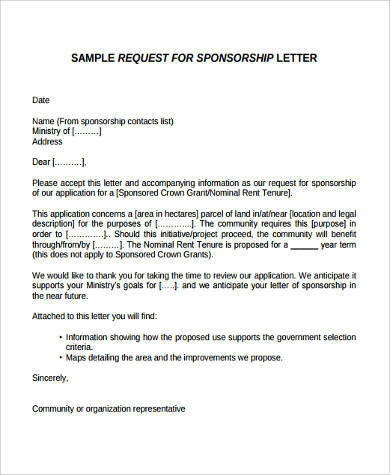 To make sure that you create the appropriate letter for your targeted sponsors, go to Free Sample Sponsorship Letters and browse several templates that you may use as a reference.